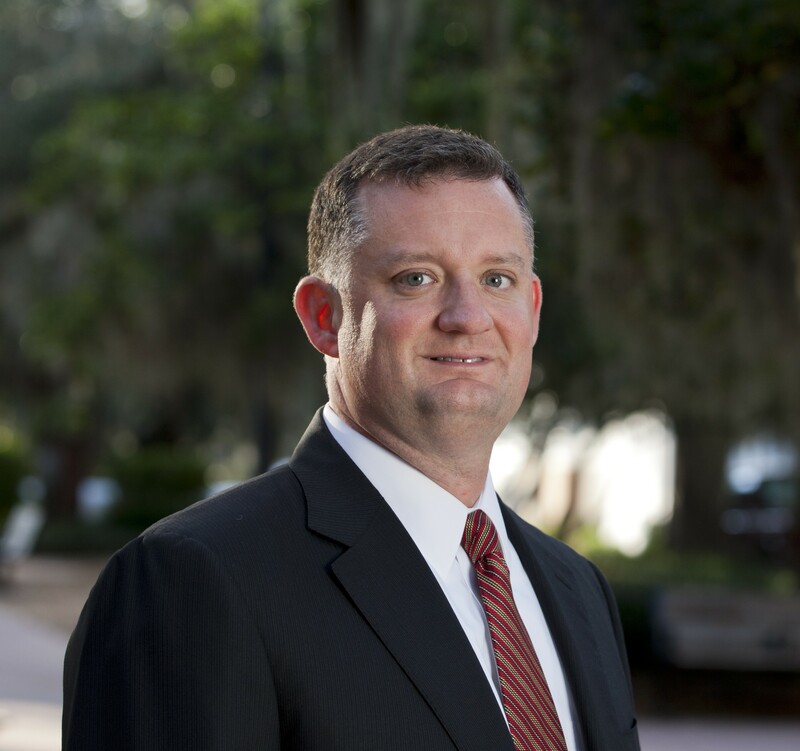 Brian’s practice focuses on the representation of corporate trust companies, issuers and underwriters on primary offerings (public and private placement) of tax-exempt bonds. He also represents these types of entities as well as bondholders on an array of matters, including distressed/defaulted tax-exempt bonds, landowner bankruptcies, foreclosures, agreed-upon restructurings, and market disclosure. Serves as counsel to indenture trustees for and owners of distressed/defaulted tax-exempt revenue bonds issued to fund multi-family housing facilities, health care facilities and community/public infrastructure. Serves as counsel to issuers, indentures trustees and underwriters on tax-exempt financings and agreed-upon restructurings. Counsels landowners and developers on matters concerning the financing and construction of public infrastructure necessary for the development of large-scale residential, commercial and mixed-use projects, including representation before the Florida Land and Water Adjudicatory Commission and local governments in relation to the establishment of community development districts. Representation of the indenture trustee in connection with an agreed-upon restructuring and exchange of defaulted bonds for $30,710,000 Reunion East Community Development District (Osceola County, Florida) Special Assessment Refunding Bonds, Series 2015 (closed May 2015). Representation of the indenture trustee in connection with the issuance of $50,925,000 Reedy Creek Improvement District (Orange and Osceola County, Florida) Ad Valorem Tax Refunding Bonds, Series 2015A (closed April 2015). Representation of the indenture trustee in connection with an agreed-upon restructuring and exchange of defaulted bonds for $34,495,000 South Bay Community Development District (Hillsborough County, Florida) Capital Improvement Revenue Refunding Bonds, Series 2015 (closed March 2015). Representation of the underwriter in connection with the issuance of $9,055,000 Randal Park Community Development District (City of Orlando, Florida) Special Assessment Revenue Bonds, Series 2015 (closed March 2015). Representation of bondholders in connection with settlement negotiations relating to a payment default by the master developer of a mixed-use project in Rio Rancho, New Mexico, the result of which was receipt of fee title to lands owned by the master developer, the marketing and sale of the conveyed lands to a new master developer, and an agreed-upon restructuring and exchange of the defaulted General Obligation Bonds, in the outstanding principal amount of $15,180,000, issued by a public improvement district in Rio Rancho, New Mexico (closed February 2015). Representation of the issuer as issuer and disclosure counsel in connection with the issuance of $16,220,000 Pier Park Community Development District (City of Panama City Beach, Florida) Capital Improvement Revenue Refunding Bonds, Series 2014 (closed May 2014). Representation of the issuer in connection with the issuance of $9,855,000 Capital Region Community Development District (Leon County, Florida) Capital Improvement Revenue Refunding Bonds, Series 2013 (Closed December 2013). Representation of underwriter in connection with the issuance of $5,115,000 Randal Park Community Development District (City of Orlando, Florida) Special Assessment Revenue Bonds, Series 2012 (closed June 2012). Representation of indenture trustee in connection with the issuance of $29,100,000 Ave Maria Stewardship Community District (Collier County, Florida) Capital Improvement Revenue Refunding Bonds (closed June 2012). Representation of issuer in connection with the trifurcation of $9,965,000 Hawk’s Point Community Development District (Hillsborough County, Florida) Special Assessment Bonds, Series 2007A (closed February 2012). Representation of indenture trustee in connection with the trifurcation of $49,110,000 Reunion East Community Development District (Osceola County, Florida) Special Assessment Bonds, Series 2002A (closed January 2012). Representation of indenture trustee in connection with an agreed-upon restructuring and exchange of defaulted Capital Improvement Revenue Bonds, in the initial principal amount of $53,665,000, issued by a community development district in the City of Fort Myers, Florida (closed November 2011). Representation of indenture trustee in connection with an agreed-upon restructuring and exchange of defaulted Capital Improvement Revenue Bonds, in the outstanding principal amount of $11,405,000, issued by a community development district in Osceola County, Florida (closed August 2010). Representation of the indenture trustee in connection with an agreed-upon restructuring of defaulted Special Assessment Bonds, in the outstanding principal amount of $13,280,000, issued by a community development district in Hillsborough County, Florida (closed March 2010). Panelist, Anatomy of a Real Estate Project Meltdown: District, Developer, Trustee and Conventional Lender Perspectives and Future Trends for CDDs at The Florida Bar continuing legal education course titled Secrets of CDDs: Unveiling the Mysteries and Unlocking the Possibilities (January 2013). Panelist, Community Development Districts – Restructuring, Rebuilding at the High Yield Municipal Bond Conference held by Smith’s Research & Gradings (September 2012). Panelist, Municipal Securities Law 101 at the 35th Bond Attorneys’ Workshop of the National Association Bond Lawyers (October 2010). Guest lecturer, Florida State University College of Law, speaking on the topic of special taxing districts as part of the “Planned Communities” course. Listed as a “Rising Star” in the annual publication of The Florida Super Lawyers, 2011 Edition.